With hundreds of acres of open space and loads of hiking/biking trails, Gray’s Crossing feels like a remote location. Yet it’s anything but, when you realize you’re 1.5 miles from Downtown Truckee with its vibrant shops and restaurants. 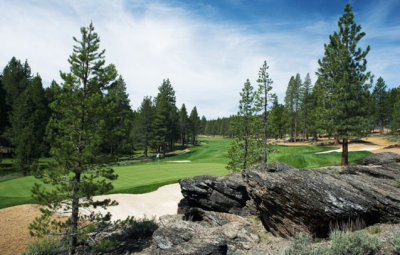 This once private golf course is now open to the public, and is one of the finest in all of Truckee. Gray’s Crossing is a 700 acre development that is built around a Peter Jacobsen/ Jim Hardy 18-hole championship golf course. Here you can either discover a beautiful new luxury mountain homes. Or choose from a variety of compelling lots and build your very own mountain dream home. Enjoy a lovely dining experience with mountain and golf course views at PJ’s Bar & Grill.